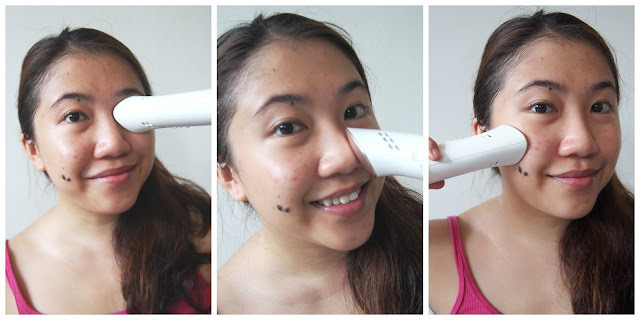 As promised in my previous post, I'm excited to share my experimentation with the Panasonic Beauty tools sponsored. From deep cleansing to pore care, Panasonic has really gotten all our bases covered. I'm here today with a simple and fuss-free skincare regime using all three items, so without further ado...read on to see how you can incorporate them to up your beauty game! I get things started with a deep cleanse, after washing my face with a gentle cleanser such as the Face Inc's Clear Cleasing Gel. Do ensure not to mix any essential oil into the water used for steaming, it will actually cause damage to the appliance's internals. To start, pop the water storage canister open and fill it until the 'FULL' marking. Like what Bryan Gan taught us, I used a rose essential oil and dripped about 3-4 drops on a cotton pad before securing it to the opening of the steamer. about 4-5 minutes is good for me personally (6 minutes being the recommended), to take in the beautiful soothing scent as the steam bubbles onto skin. When switched on, do remember to maintain a distance of 20cm to prevent the steam from scalding you (approximately the length of your wrist to elbow). 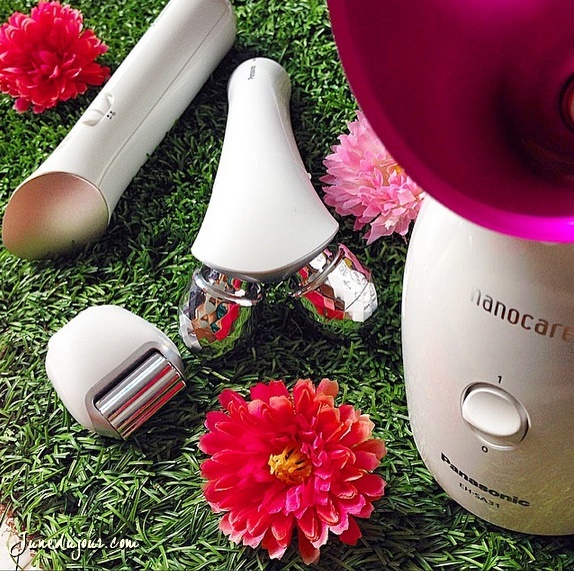 The nano-sized ions of the steam keeps it mild for skin's deep cleansing. Personally, I did not specifically see much immediate change but I do feel refreshed after steaming. 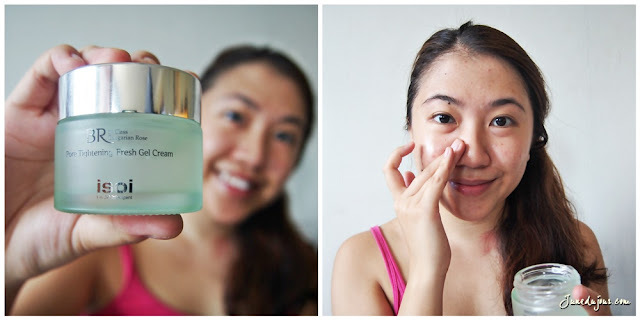 My skin feels much softer and applying serums/ moisturizers seems to be absorbed much quicker. Now that all is said and done, it is important to close the pores to prevent the appearance of enlarged pores, which causes uneven texture when applying makeup. 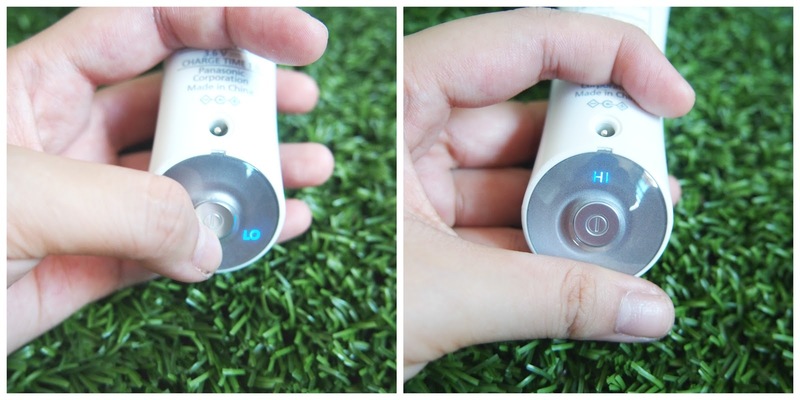 Switching it on, the Face Putter EH-SQ10 switches from room temperature to a comfortable cool 10°C in a matter of seconds. What I usually do after my steaming session is to apply a thin layer of ISOI's Pore Tightening Gel Cream and allow it to sit for about 30 seconds before soothing it with the Face Putter E-H-SG10. The sensation is glorious, because of the gel, it takes the cool temperature when using the tool to massage in a circular motion. I realized that it can also be used in multiple ways: you can apply your usual eye cream over the eye area and then gently move the tool from left to right; this helps to reduce puffiness caused by water retention. For those who have slightly inflamed skin causes facial extractions or having blemishes that are in the process of healing, apply a small dollop of aloe vera gel over said area and run the Face Putter E-H-SG10 in a circular motion. The Warming Facial & Body Roller EH-SP32 has 2 removable oval heads that you can switch for different uses; the first features a rounded faceted dual heads, which is similar to the REFA Carat model that I had reviewed prior (however, its much lighter to hold due to its acrylic body); while the second head is a flat stroking one. Especially loving the added 2 heat settings (44 and 48 °C) that give that added boost of comfort. 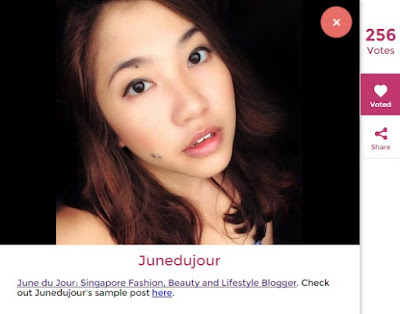 The heat actually helps in penetrating products into skin better as it opens ups pores. 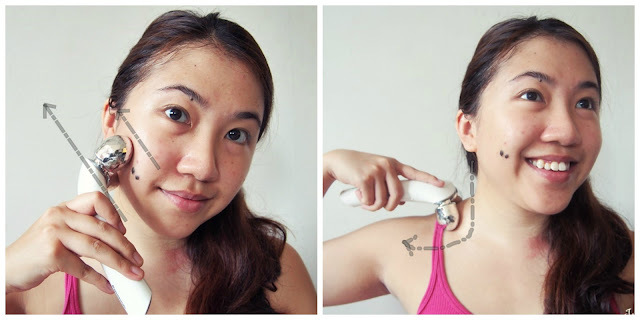 How I like using it: the oval heads are perfect to help lymphatic drainage by simply running it horizontally along the sides of the face, then vertically downward from the back of ear to the neck. Although alot of people tend to overlook this, its a vital area as the lymph nodes are the primary framework of the immunity system, a sort of checkpoint to the vessel pathways. And for fighting those wrinkles, I would first slather on some moisturizer like the Creme Simon Brightening Detox Day Moisturizer to give some lubrication for the roller tool to glide smoothly. Start by running the flat roller head from the eyebrow towards the hairline, then moving to the sides from the nose and acrross the cheeks in a firm manner. 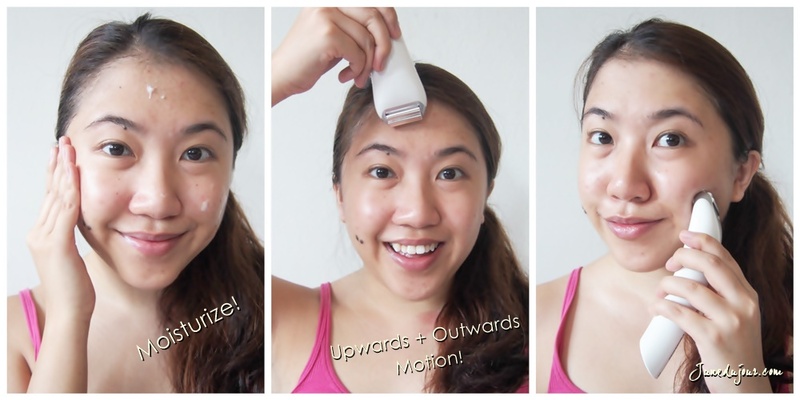 And there you have it, my 2nd post on creating your very own beauty regime with these Panasonic beauty tools! Do you have an alternative method in using them? Share it with me in the comments section below! Thank you for the support so far and if you love what you've been reading so far, do remember always to drop me a vote by clicking on the picture below!